The easiest way to eavesdrop and wiretap internet connections is to do so through public wifi hotspots. Public wifi security in most public wifi hotspots that you find in cafes, coffee shops, airports, schools and hotels is non-existent. As they are lacking public wifi security encryption, they tend to be completely open and insecure. Many users believe that public wifi hotspots are secure since they are offered from established, successful businesses. However, even the largest and most secure businesses may have security breaches. Public wifi security is in its infancy! The demographic of customers who visit many of these public wifi hotspots are also the same target demographic that criminals and data thieves would like to harvest and steal data from. After all, the largest banks and high risk computer users have already deployed public wifi security technologies similar to the security and protection offered by Private Internet Access. Therefore, it is much easier to steal data from stations lacking public wifi security. Without encryption, your data will become as available as public tv. 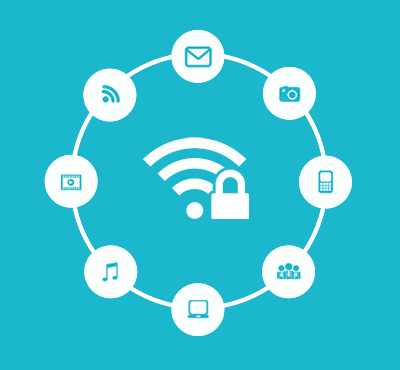 In a public wifi hotspot, you can secure your wireless internet connection using our VPN service to create several security layers which will prevent access to your data from those who are locally at the hotspot as well as other criminals scattered across the internet. This is an end all and absolutely necessary solution to secure public wifi. In technical terms, Private Internet Access deploys state of the art OpenVPN SSL based encryption layers over all the tunneled connections. There will never be an unencrypted moment. Additionally, this website has been encrypted since its inception. As long as your data connection is encrypted, even if they can access your data at a public wifi hotspot, they will not be able to decipher the data. It will look like cryptographic gibberish. ...then you absolutely should consider public wifi security.